All the products at Kernig Krafts are made with perfection by our handpicked artisans. We are industry leaders in customised furniture, we work with top architects of India and world. We can boast ourself as one stop solution for all your needs. We never say no for customisation. Our main products are cafe chair, bar chair, tables, side tables, bed side, coffee tables. Our products are made to long last and have durability. We prefer fine and superior quality material, like high grade metal sheets, angles, tube, Pipes as well kiln dried chemically treated timber, quality hardware and fine paints ,lacquer , powder coating, rust proof treatment etc to ensure the reliability and quality of each piece goes out of our factory for the most customer satisfaction. (1) Before despatch, we check the material, color of leather/fabric by sample which should be strictly the same as mass production. (2) We will be tracing the different phase of production from the beginning. Will update you via WhatsApp. (3) Every product will be quality checked before packing. (4) Before delivery clients could send one QC or appoint a third party to check the quality. 1. Designing the assembly instructions and shipping mark. 2. Will send you proper packing list. 5. We invite you to visit our factory, we will pick u up from airport. 6. Inquiry to us: email us your request, our response time will be negligable. 7. Production complete: we will inform you before one week time of production complete. 8. Take photos: we will take photos and send to you for reference before shipping. 1. Are you trade company or factory? 2. Is the product knock down (flat packed) or assemble? If knock down How can I install my furniture? • Most of our items are knock down structure. We also can do assembled. Furniture installation drawing will come long with the goods. 3. Can you produce customized item? Different dimensions and styles are available. Any size and color can be customized. 4. What about the delivery time? • 20-30 Days depending on the quantity ordered. 5. Do you have products in stock? 6. How much will the shipping charges be? • This will depend on the size of your shipment and the method of shipping. When inquired about shipping charges, we hope that you let us know the detailed information such as the codes and quantity, your favourable method of shipping, (by air or by sea,) and your designated port or airport. 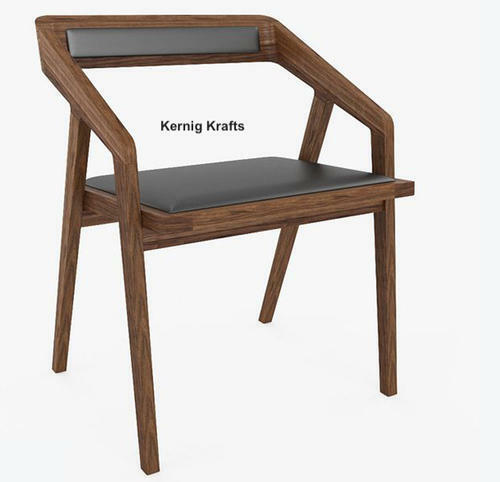 Incorporated in the year 2012, we “Kernig Krafts” are counted as the reputed manufacturer and exporter of Upholstery Sofa And Rest Chairs, Comfy Chair, Wooden Garden Chair Set, Garden Planter, Iron Chair, Antique Wooden Furniture, etc. Located in Jodhpur (Rajasthan, India), we are a Partnership firm engaged in offering a high-quality range of products. Under the management of, “Mr. Anup Garg” Partner), we have been able to provide complete satisfaction to our clients. The objective here is to provide our clients the furniture which goes with their requirement. Our prime objective is to understand the concept and suggest the best suitable furniture. We have a vivid range of products, we will be sharing our designs with our clients, along with tentative pricing. Pricing depends upon few elements viz. quantity, finish type, size, weight, coats, type of product etc. If one are looking for bespoke styles, finishes and variety of furniture then Kerning Krafts is the company to do business with. Our furniture has optimum strength and comes with limited lifetime warranty. We assure clients for the quality and our furniture has virtually trouble free maintenance. We can fulfil the requirements of standard as well as customized industrial furniture with complete precision. Currently, we are having a workspace of 2000 sq.m and an experienced quality check team to deliver and serve our client with a flawless product range along with timely delivery.